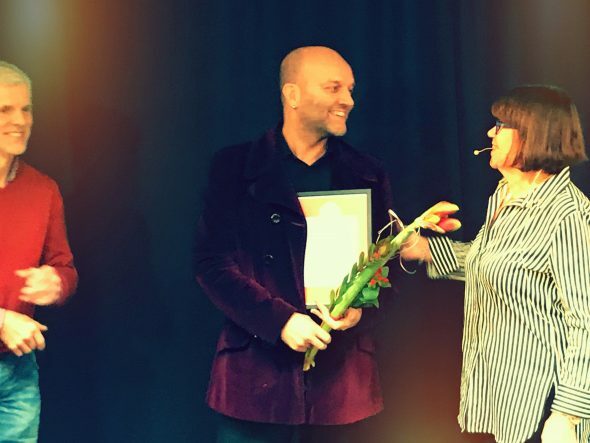 Today I was awarded with the 2018 Municipality of Piteå Culture Prize (Piteå Kommuns Kulturpris). According to the municipality’s press release it is “offered to a person who is professionally active in the field of culture. The person should be a profile and well-known ambassador of Piteå, and should be (or have been) resident as well as active in Piteå, or started his/her cultural practice in the municipality”. 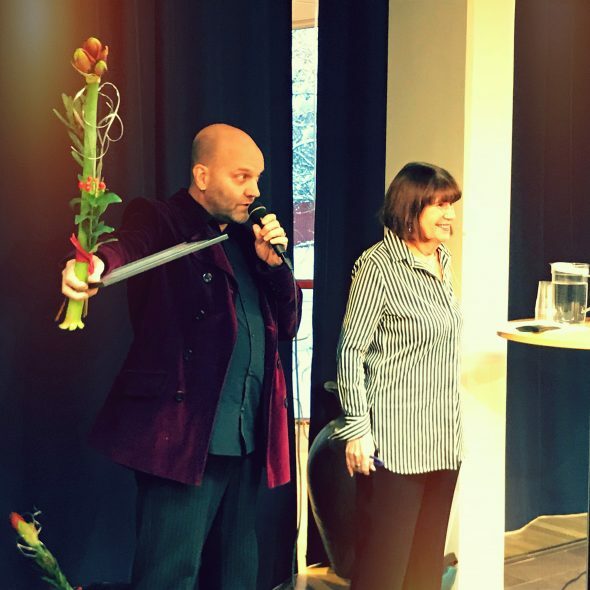 This puts me in extremely good company with earlier awardees like comedians Ronny Eriksson and Lasse Eriksson, singer Anna-Lotta Larsson, actor Lennart Jähkel, writer Liza Marklund, painter Sture Berglund as well as fellow rock’n’rollers (and friends) like for example KG Johansson, Bo Sundström (Bo Kaspers Orkester), Andreas Mattsson (Popsicle), Nicolai Dunger, John Eriksson (Peter Bjorn and John). And also my two colleagues Erik Westberg and Petter Sundkvist. 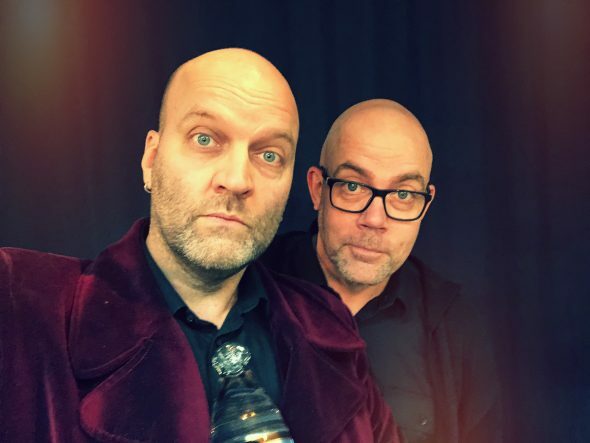 (Swedish) David Myhr är en artist och låtskrivare som slog igenom i det Piteåbaserade bandet The Merrymakers på 90-talet. Yrkesmässigt är han knuten till LTU men har numera sin bas i Stockhom. Parallelt med arbetet som universitetslektor i låtskrivande, musikproduktion och branschkunskap har han en artistkarriär och är i år aktuell med sitt andra soloalbum. David har även gjort sig känd för sina djupa kunskaper om gruppen The Beatles och uppträder ibland som en levande Beatles-jukebox. Att påstå att han är lite Here, There and Everywhere är ingen överdrift. David tilldelas stipendiet för sitt mångåriga engagemang och arbete i musikens tjänst, både yrkesmässigt och privat, samt som en uppmuntran för sitt fortsatta musikskapande. 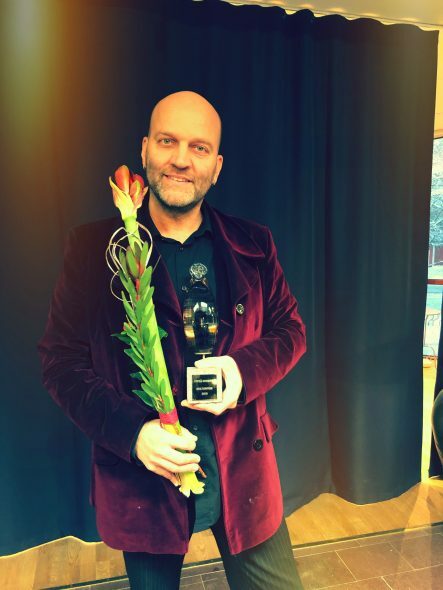 (English) David Myhr is an artist and songwriter who had his break-through with the Piteå based band The Merrymakers in the 90’s. Professionally, he is linked to Luleå University of Technology but nowadays he is based in Stockhom. Parallelly with his work as a senior lecturer in songwriting, music production and music business knowledge, he has an artist career and currently has released his second solo album. David has also become known for his deep knowledge of the The Beatles and sometimes appears as “the living Beatles jukebox”. To say he is a little Here, There and Everywhere is no exaggeration. David is awarded the award for his long-term commitment and work in the service of music, both professionally and privately, as well as encouraging his continued creation of music”. I grew up in PIteå and I lived the first half of my life there. I have only very fond memories from those days and I still have a very strong bond to my former home town. My musical journey started in Piteå in bands like 2nd Hand B Band and Ant-Mansson who later became The Merrymakers. I moved to Stockholm at 24 and have spent the same amount of years there as I did in Piteå (so now you can easily calculate my age!). I still come back a lot to Piteå. Me and my brothers and our families have kept our parent’s (and our childhood’s) summer house in Svartnäs, Rosvik. And I also still have my “day-job” (900 km from home!) as a senior lecturer at the local university (The School of Music at Luleå University of Technology – see my staff profile here). I am determined to do my best to spend the award of 25,000 SEK not only to cover “black (economic) holes” from the cost of making Lucky Day (get the album here!!!) but to instead put them in a little jar to spend on future music making. However, during the ceremony my iPhone X fell to the floor so it’s possible I’ll have to spend almost half of the sum in order to fix my phone, thereby supporting Apple instead. Well well… you gain some, you lose some. That will soon be forgotten! But the support and and recognition from my home town is something I will remember for life and which I am very grateful and proud. Thank you very much Piteå Kommun! 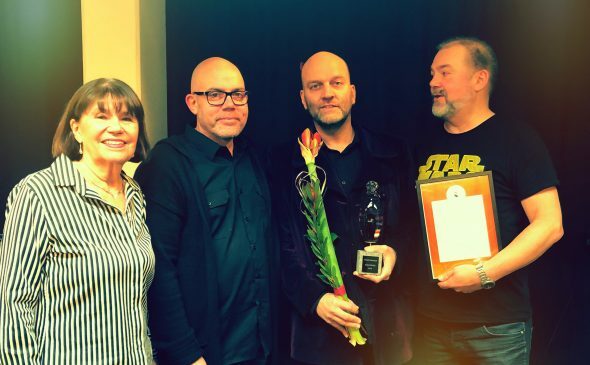 Here’s a link to an interview I made about receiving the prize (in Swedish) from LTU’s web page. And a link to an article in the local paper Piteå-Tidningen. Ann-Katrin Sämfors, chair of the Kultur- och fritidsnämnd, Peter Arffman, member of the committe (and ex-Merrymaker! ), David Myhr, and Mikael Andersson (co-writer of the new book about Ripp-Rock).